In realtime, like rocks to brains. give more than all could after. Look at you, see with eyes so closed. Chill me while my teeth lay – clenched. You never fail to raise my bumps. 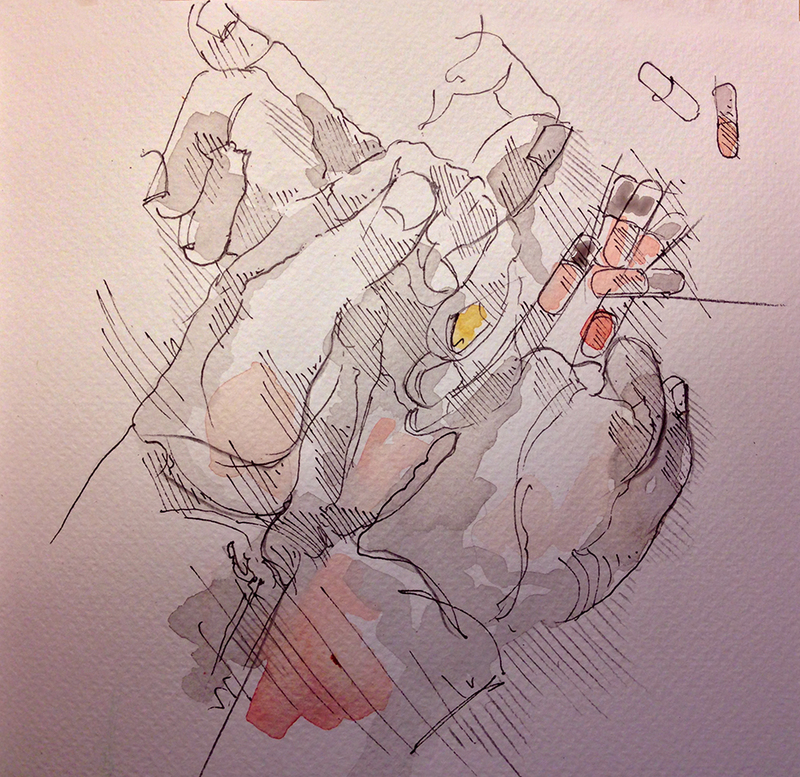 …my love/hate thing over pharmaceuticals just got elucidated more with this Barry–me and my nightly dosage of quetiapine….you do hands so expressively. Thank you sir! I love sculpting hands with line. Beautifully expressed push-me-pull-you. I too love the way you render hands. Thank you Richard. I’m a sculptor from way back. Hands are so fluid. So beautifully said both visually and poetically! Outstanding!